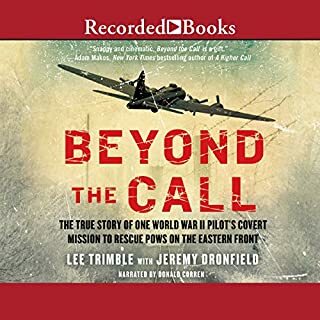 This little-known WWII story introduces a renegade pilot whose personal mission to rescue his family from a POW camp changed modern air warfare forever. December 1941: Manila is invaded, and US citizen and Philippines Airlines manager Pappy Gunn is ordered to fly key military command out of the country, leaving his family at home. So Gunn was miles away when the Japanese captured his wife and children, placing them in an internment camp where they faced disease, abuse, and starvation. Gunn spent three years trying to rescue them. His exploits became legend as he revolutionized the art of air warfare, devising his own weaponry, missions, and combat strategies. By the end of the war, Pappy's ingenuity and flair for innovation helped transform MacArthur's air force into the scourge of the Pacific. Would you consider the audio edition of Indestructible to be better than the print version? While the audio does not have the maps and other information, the story comes through loud and clear. Pappy Gunn dominated the story, as he should. It is his story. His feats of daring and airmanship are documented well in the story, and the author freely admits that what is myth and legend may be hard to separate from fact. But the story is simply riveting. Brian was able to read the book without choking up, which I would have had trouble with. I had to dry my eyes more than once learning about the depredations that the Gunn family suffered in Santo Thomas. Having attended high school in the Philippines the setting was far more real to me than perhaps it would have been to other readers. Brian made the story come alive. 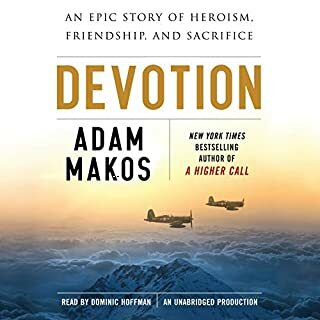 I had to ration this book, a few chapters every day, because otherwise I would have not gotten any work done over the week it took me to listen to the book. Bruning has done an exceptional job with this story, and I will be looking for other books from him because he is a master storyteller. The best reason to get this book is to experience through the eyes of the author what real dedication and suffering look like. A man's allegiance to his orders at the cost of his own family, a family's willingness to hang together through an internment that cost them 40% of their body weight. It is good that the Battle of the Bismarck Sea comes earlier in the book than the full descriptions of the conditions at Santo Thomas. This book left me amazed that Japan could be forgiven after what it did to the innocents. The incredible drive and creativity of P. I. "Pappy" Gunn and the narrative of a modern thriller have been skillfully woven into a book that is impossible to put down. From the first page to the end note, it is a fascinating and compelling read. I recommend this book without reservation. What did you love best about Indestructible? I'd never heard of Pappy Gunn even though I'm a great fan of WWII history. This is an amazing story about a man who never ever stopped going until the end. I thought some of the detail about the battles was a bit long and would have liked to have had a bit more information about his family. The book made me want to do more research into the life of P. I "Pappy" Gunn. First off, Pappy and secondly Nathan, his son. Pappy because of this take charge character. He wasn't afraid to step in where he saw injustice or his way of dealing with those who tried to get through the war slacking off. I saw a clip of Nathan speaking to a group of school children. That really brought the book to life for me. He did well with each one, I thought. It was too long for that, but I finished it in 2 days. Biggest hero I never heard of! I listen often and to varied books on history, some military some of people or events I admire or just captured my interest, I have never once in any books I've read or listened to heard of Pappy Gun, so glad I read the reviews and bought this one! Indestructible details the incredible true saga of P.I. Gunn and his family through WWII in the Philippines and SW Pacific. It provides incredible details of the exploits of Gunn as he works tirelessly to reinvent the Army Air Force while his captured family endure the privations suffered under the Japanese in occupied Manila. 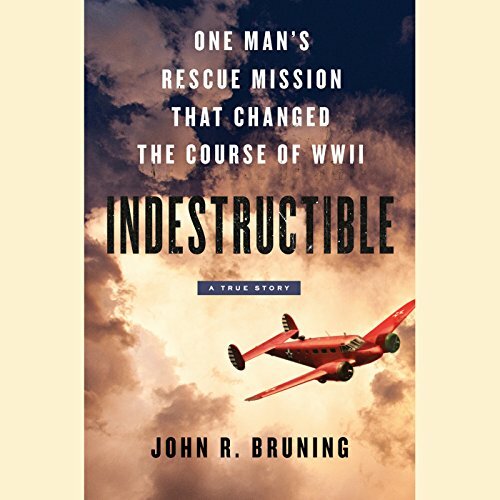 While most histories of the war in the Pacific focus on naval battles and naval aviation, Indestructible provides a treasure trove of well researched information on MacArthur's fledgling Air Force and the development of both aircraft and tactics by Gunn that became the basis of close air support doctrine still in use today. 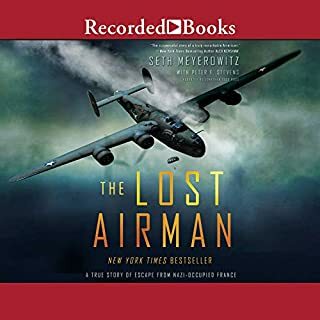 A fantastic listen by an excellent narrator, and a superlative text rich in technical details and without the errors that often infect aviation histories of WWII written by lesser lights. One of my top 10 listens ever. This is one of the best books I have ever heard. 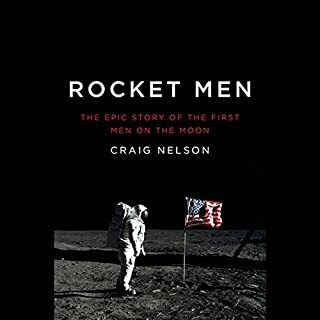 Good narration of a basically interesting story, but how many times do you have to explain what an extraordinary guy the hero is? It would have been a great book if a good editor had lopped about a third of it out. Too much drooling hero worshipping got in the way of telling the good story at the heart of the book. 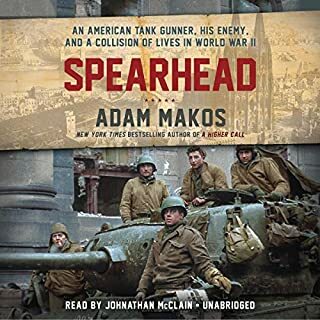 This has been one of my favorite audio books. 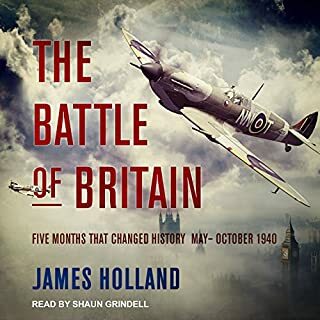 While I am an avid WWII history buff, this book would be a great read or listen for anyone. This is a book that would make an amazing movie. Very sure that I will listen to it again soon! How one man turned the tide of an air war. Great read about a South Pacific legend's air-combat innovations while his family fought to survive captivity. This is probably a good story but from this narration it’s impossible to tell. The narrator sounds like he’s delivering a sombre speech and unfortunately I just couldn’t work through it. The story itself is intriguing but, it does leap about all over the place, easy listening it is not. Combined with the really awkward storytelling it’s a disappointing audiobook.